The Singapore International Water Week 2016 covered several important topics such as water and health, effective wastewater management and sustainability (photo credit: SIWW 2016). 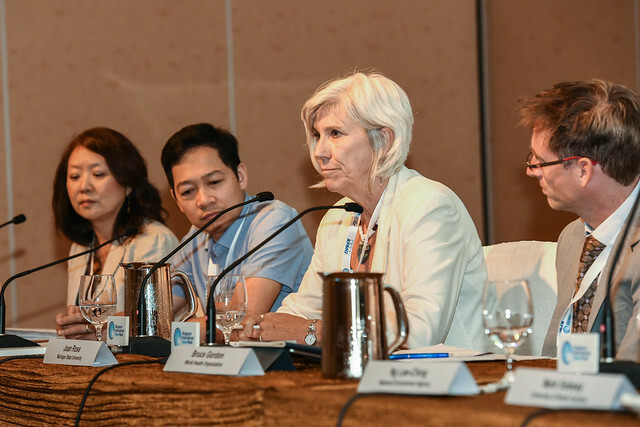 A global water management event which aimed at sharing and co-creating innovative water solutions was recently held in Singapore. The Singapore International Water Week (SIWW), held 10–14 July 2016, brought together several stakeholders in the international water industry to exchange best practices, showcase latest technologies and promote business opportunities. 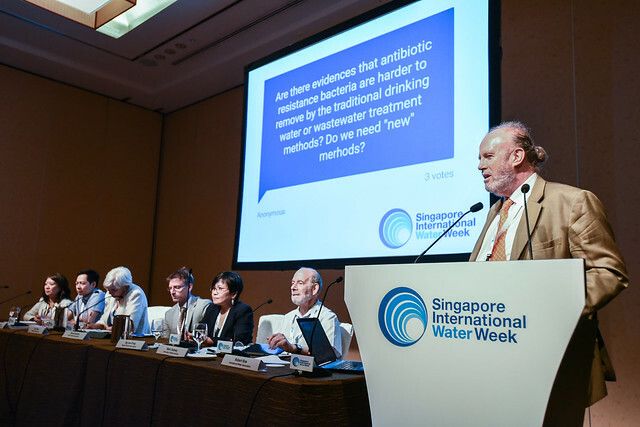 The ‘One Water, One Health’ workshop at the SIWW aimed to raise the profile of water, sanitation and wastewater management in the context of One Health. The speakers discussed important topics such as the relationship between water-borne diseases and management of livestock waste, and the added value of health and well-being of humans and animals and/or financial savings through closer cooperation of human and animal health. The speakers also talked about the importance of re-using wastewater for agriculture and treating wastewater to ensure food safety, and new approaches to water management that are resource efficient and equitable. Topics on water resources management and water/sanitation services in disease outbreak events, resource recovery and water reuse, and anti-microbial resistance resulting from water use in livestock were also presented. Hung Nguyen, a food safety researcher and acting regional representative of ILRI in East and Southeast Asia represented the International Livestock Research Institute (ILRI) at the event. Nguyen was part of a six-person panel of water and health experts from international agencies, universities and research institutes from Singapore, Switzerland and the United States. They talked about implementing One Water and One Health at the levels of practice and policy and acknowledged the applicability of the speakers’ presentations and related them to their country’s experiences on water and waste management. ILRI’s Hung Nguyen was part of the panel that discussed the relationship between One Water and One Health (photo credit: SIWW 2016). Examples were shared from Vietnam where, for instance, efforts are being made to manage animal and human waste using an integrated One Health approach. Studies in that country are combining quantitative microbial risk assessment (QMRA) and participatory approach (EcoHealth) to assess animal and human waste management in an agricultural intensification lead to an intervention for better biogas use. Results from health impact assessment studies of different business models of waste management in Hanoi were shared. Capacity building requirements for One Health at different levels for developing countries and North–South partnership for this capacity building were discussed. Learn more about One Health Partnership for Zoonoses in Vietnam. See an earlier article on 2015 book on One Health. Tags: Hung Nguyen, One Health, One Water, Singapore International Water Week, Waste management, Water use and re-use. Bookmark the permalink.